Psoriasis is a common skin disease that causes our cells to build up rapidly on the surface of our skin, forming thick silvery scales, and itchy dry red patches that are sometimes painful. Normal skin cells mature and shed in an ongoing cycle of 28 to 30 days. In psoriasis, skin cells mature in just 3 or 4 days. Psoriasis is a long-lasting, non-contagious and often misunderstood disease. Many psoriasis sufferers have low self-esteem and constantly hide their body under long sleeves, long pants and high-collar. They avoid social situations due to discomfort and embarrassment. Psoriasis patients are also at increased risk for other diseases such as obesity, diabetes, hypertension and myocardial infarction (heart attack). I will share briefly what are the causes and triggers of psoriasis. Colby Evans, MD, a dermatologist in Texas, USA said that psoriasis was originally thought of as a hyperproliferative disease i.e. the skin making too much skin by proliferating rapidly. So, most of the treatments at that time were directed at that problem. We now know that psoriasis is a malfunction of the immune system, and T cells (a type of white blood cell) are the root of it. Normally, T cells travel throughout the body to detect and fight off viruses and bacteria. If you have psoriasis, the T cells will mistakenly attack healthy skin cells, as if to heal a wound or to fight an infection. Overactive T cells trigger other immune responses. It results in an increased production of healthy skin cells, more T cells and other white blood cells. This causes an ongoing cycle in which dead skin can't be shed off quickly enough and hence build up in thick, scaly patches on the skin's surface. Lithium, used to treat certain psychiatric disorders. High blood pressure or heart medications such as inderal or quinidine. Indomethacin, a non-steroidal anti-inflammatory drug. 3) Infections e.g. strep throat. 4) Injuries e.g. at scars from surgeries; from vaccinations, bug bites, sunburns or cuts. 7) Dry and cold weather. 9) Heavy consumption of alcohol. As you can see, the causes and triggers of psoriasis are many and varied. They are not easily identified and addressed. 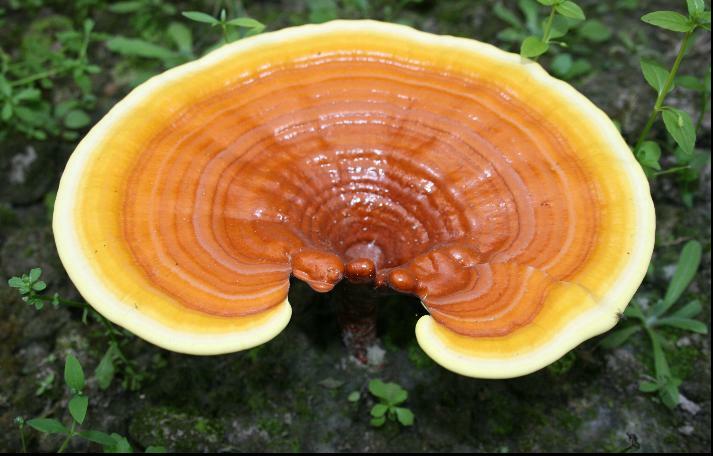 The good news is, researches have proven that lingzhi / ganoderma is able to regulate our immune system. Specifically, Yung Kien Ganoderma is able to modulate the T cells functions such that they don't overgrow and mistakenly attack healthy skin cells. All the T cells will achieve an optimal balance and hence, avoid such immune disorder diseases. Please click here for more information on How Ganoderma / Lingzhi Modulates Our Immune System or email me at laifuiping@gmail.com on how to purchase Yung Kien Ganoderma. Click here to refer to Shuang Hor company's website for Product Description and Price. I am an Authorized Distributor of the company.